Yesterday, we looked at the differences between open-pollinated plants and heirloom varieties. Today, we’ll explore the basics of their agricultural counterparts, the hybrid varieties. Hybrids are created when individuals of two different genera, species, or varieties mate. Hybrids occur in nature: Leyland cypress (Cupressus × leylandii), peppermint (Mentha × piperita), and wheat are well known naturally occurring hybrids. Next time you shop for plants at the garden center or nursery, if you see a multiplication sign (×) in the plant’s name, you’ll know the plant is a hybrid. In agriculture, hybrids are often created by controlled pollination, a process in which the pollen of one parent is applied to the stigma of the other parent, and the flowers of the “mother” plant (the pollen recipient) are isolated (for example, securely enclosed in paper or fabric) to prevent further pollination. F1 usually refers to the first generation produced from a specific cross of two distinct, uniform varieties (two “pure lines”). If seeds are saved from the fruits of these F1 hybrid plants, they will not be “true to type;” that is, they won’t reliably resemble the parent plant. To get a similar plant to the one that produced those fruits, a gardener would have to cross the original parents again. When it comes to vegetables and flowers, F1 hybrids are typically vigorous plants and good producers, but new seeds must be purchased year after year. What would happen if I planted those seeds from the F1 fruit? Unless the hybrid is sterile, plants will grow from those seeds from F1 fruits. These F2 plants (second generation) won’t look like their parent, though, and they may not look much like each other. But if you have an appetite for a long-term project (say, close to a decade), you might be able to select for good traits, save those seeds and grow out successive generations, and over time bring that variety to stability. Then you’ll have created your own open-pollinated variety, and you can name it whatever you like. There’s so much talk about growing open-pollinated plants. Are hybrids bad? No, hybrids aren’t bad. They fulfill an important role in agriculture, whether it’s for the backyard gardener or the large-scale industrial farmer. 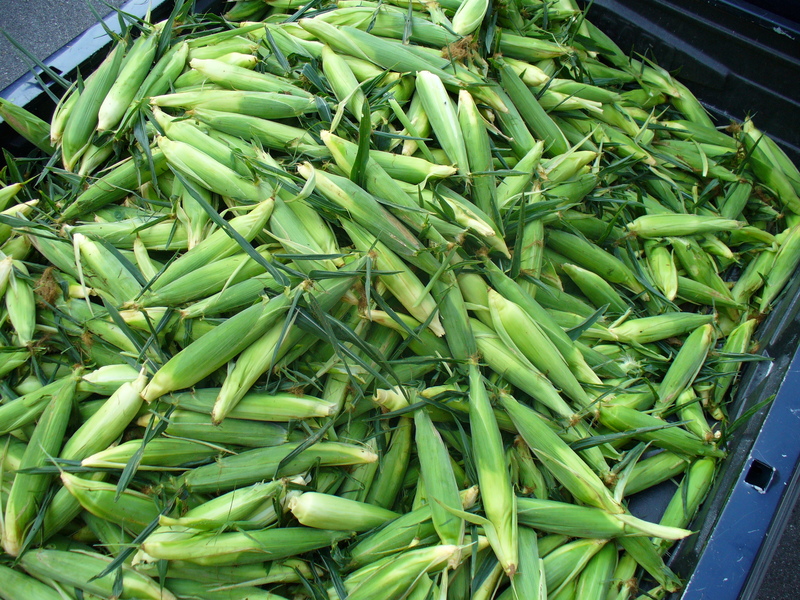 Truckload of corn, Wikipedia photo released to public domain. The problem in modern agriculture, for which hybrids receive the lion’s share of the blame, is the widespread loss of genetic diversity. We all remember from biology class that variety in a species’ gene pool enhances that population’s ability to adapt to changing conditions and survive over the long term. When farmers plant F1s heavily or exclusively, their fields are filled with identical genetic copies of one another. There is no evolution; favorable traits are not selected and propagated. And when an open-pollinated variety is not planted, it does not have the opportunity to grow and adapt to changing conditions, and over time the variety deteriorates. Meanwhile, insects and diseases are evolving, changing, and adapting. Restricting genetic diversity in the plants we grow means that over time we’re effectively building better bugs and blights. The long-term prospects of planting monocultures of F1 varieties include massive crop failures and famines, and/or the heavy use of pesticides and herbicides and whatever residual impacts on human health those products may have. So hybrids themselves aren’t bad. Exclusive planting of hybrids, however, is very short-sighted. Now I feel guilty for liking my ‘Silver Queen’ corn, ‘Packman’ broccoli, and ‘Big Beef’ tomatoes. Will I be a bad citizen if I grow them this year? No, but try growing some open-pollinated varieties as well. You’ll need to maintain isolation distances for some crops, but that’s a matter I’ll write about later this week. Seed saving 101: What’s the difference between open-pollinated and heirloom? Continuing with the homage to Durham County’s new seed library, let’s examine the difference between open-pollinated seeds and heirloom seeds. What’s the difference between an open-pollinated seed and an heirloom seed? Heirlooms are seeds of plants that have been tended, selected, shared, and handed down for generations within a particular location or community. Some seed companies categorize heirlooms by the age of the variety (e.g., if seeds of a particular plant have been recorded as being handed down for 100 years or more). Seed Savers Exchange classifies heirlooms by tracing a plant’s documented history of preservation, emphasizing the plant’s ties to a particular group of people. For example, Seed Savers Exchange founder Diane Ott Whealey’s great-grandparents brought some morning glory seeds from Bavaria to Iowa in the 1800s. Upon her grandfather’s death, Diane Ott Whealey founded the Seed Savers Exchange to continue this hand-me-down tradition of conservation, and Grandpa Ott’s morning glories are found in gardens across the country, including mine. Seed Savers Exchange further differentiates between heirlooms and “heritage” varieties, which are “old-timey” plants that may have no particular connection to a particular people. And there are “modern heirlooms,” or modern open-pollinated varieties in various stages of emerging tradition, being bred and selected by a handful of seed companies who care deeply about plant genetic diversity and stewardship. Open-pollinated seeds, as we learned yesterday, are pollinated by insects, birds, wind, or other means, whose offspring closely resemble their parents from generation to generation. OPs may be of any age or tradition. Heritage varieties are old, traditional open-pollinated plants, that may or may not be connected to a group of people. Heritage varieties are open-pollinated, but not all OPs are heritage varieties. Heirloom varieties are old, traditional open-pollinated plants that are variously defined as being handed down by generations in a particular location or context, and/or which may be greater than 100 years old. Heirlooms are open-pollinated, but not all OPs are heirlooms. Heirlooms are heritage varieties. “Modern heirlooms” is another name for open-pollinated plants bred more recently (say, post-advent of commercial agriculture, up until today), whose tradition among groups of people or locations is emerging. They’re neither heirlooms in the traditional sense, nor are they heritage varieties, but they are being bred in the same tradition and may become heirlooms or heritage varieties in years to come. Study hard. The exam will be tomorrow. Seed saving 101: Differentiating between open-pollinated and hybrid plants. My local public library is starting a seed library. 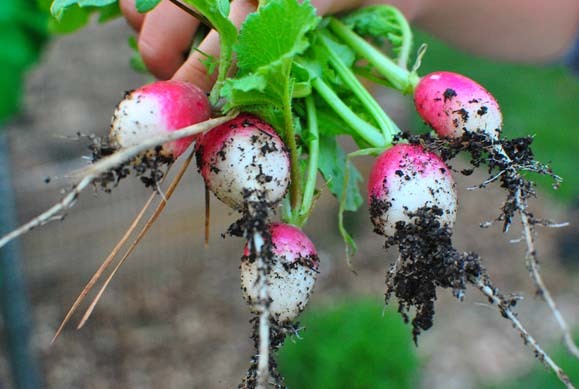 In honor of its launch, this week I’ll be exploring the basics of seed starting and saving, learning about which plants are best for particular applications, and how to plan and prepare for a successful growing season. Successful seed saving begins with choosing seeds that have the potential to be saved (not in the religious sense). Seeds of any plant—herb, vegetable, or flower—are either open-pollinated (OP) or hybrids. Only open-pollinated seeds can be saved successfully. What is an open-pollinated plant? Open-pollinated plants are plants that are allowed to cross-pollinate by wind, insects, birds, and other means, or they may self-pollinate. Over time and with careful selection, open-pollinated varieties can stabilize, meaning that the parents and offspring naturally share similar traits, closely resemble one another, and are easily distinguished from others in its species (e.g., one variety of tomato, like ‘Brandywine,’ is clearly distinguished from another, like ‘Cherokee Purple’ or ‘Green Zebra’). Hybrids are made by specifically crossing two different species or varieties. Growers breed commercial hybrids to produce a specific trait, like uniform appearance, concise ripening periods (useful for large-scale machine harvesting), resistance to bruising, or long shelf life. Many of the traits found in modern hybrids were selected with large-scale commercial agriculture in mind. F1 refers to the first generation produced from a specific cross. If seeds are saved from the fruits of F1 hybrid plants, they will not be “true to type;” that is, they won’t reliably resemble the parent plant. To get a similar plant to the one that produced those fruits, a gardener would have to cross the original parents again. F1 hybrids are typically vigorous plants and good producers, but new seeds must be purchased year after year. Are hybrids the same as genetically modified organisms (GMOs)? In practical terms, this means that GMOs are organisms that contain genetic combinations that couldn’t occur in nature. Think back to your grade-school biology classes: Remember learning taxonomy (kingdom, phylum/division, class, order, family, genus, species)? In GMOs, sometimes genes from organisms belonging to different kingdoms are shared, as in the case of Bt corn, corn genetically engineered to produce its own pesticide. To produce Bt corn, bioengineers inserted certain genes of Bacillus thuringiensis, a naturally occurring soil bacterium often used in mosquito controls, into the corn’s genetic material. If hybrids are vigorous plants and good producers, and seeds are inexpensive to purchase, why should I bother trying to save seed from open-pollinated plants? Open-pollinated seeds contribute to genetic diversity, which is important to help plants adapt to changing climates and related environmental factors (changing pests and diseases, etc.). Over time, a gardener may improve a variety so that it is particularly well adapted to the local environment, potentially reducing that gardener’s inputs (i.e., saving that gardener time and money!) to a crop, relative to non-adapted varieties. Plus, it’s a lot of fun. Includes, but are not limited to, heirloom varieties. Are relatively new to the ecological scene, having developed with the advent of commercial agriculture. 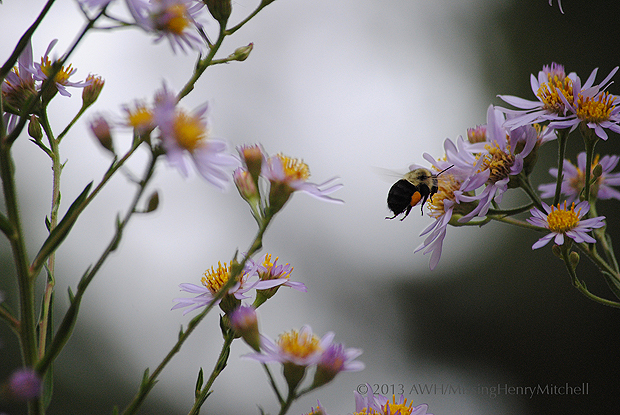 Are pollinated by wind, birds, insects, etc., in an uncontrolled way. Are made by human intervention, deliberately crossing two distinct species or varieties. Are more genetically diverse as a result of this open and uncontrolled pollination. Possess the genetics of the two parents, which may themselves have been crossed back with one of their parents. Will not all look or perform the same. Are very consistent in performance and appearance. Are typically vigorous and good producers. Have not been bred for specific traits, but may have been selected over time for taste, resiliency, disease resistance, or other factors. Have almost always been bred by a grower to have specific traits. Are more likely to be well adapted to their particular region and its challenges. May not be well adapted to a given region and might be susceptible to particular disease or insect problems, potentially requiring more pesticides or active management. How do I know if I’m growing open-pollinated or hybrid seeds? If you ordered the seeds from a catalogue, look in the catalogue entry or on the grower’s website. Hybrids types will usually have the words “hybrid” or “F1” in the description. These words may also be on the seed packet. You may also do an Internet search of your seed variety’s name (what’s enclosed in single parentheses on the packet, like ‘Brandywine’ or ‘Big Beef’) to find out whether it’s open-pollinated or a hybrid. Cornell University maintains a public, citizen-science database called Vegetable Varieties for Gardeners at http://blogs.cornell.edu/garden/get-activities/signature-projects/veg-varieties/. Home gardeners throughout the United States can search the database to find varieties well suited for their growing areas, including both hybrids and open-pollinated plants. Creating a login allows gardeners to provide their own reviews of the varieties they grow and to help build understanding of regional adaptability of different varieties. Tomorrow, I’ll write about the differences between open-pollinated plants and heirloom varieties. Bt corn: Health and the Environment (fact sheet), Colorado State University Extension. My local public library is starting a seed library. 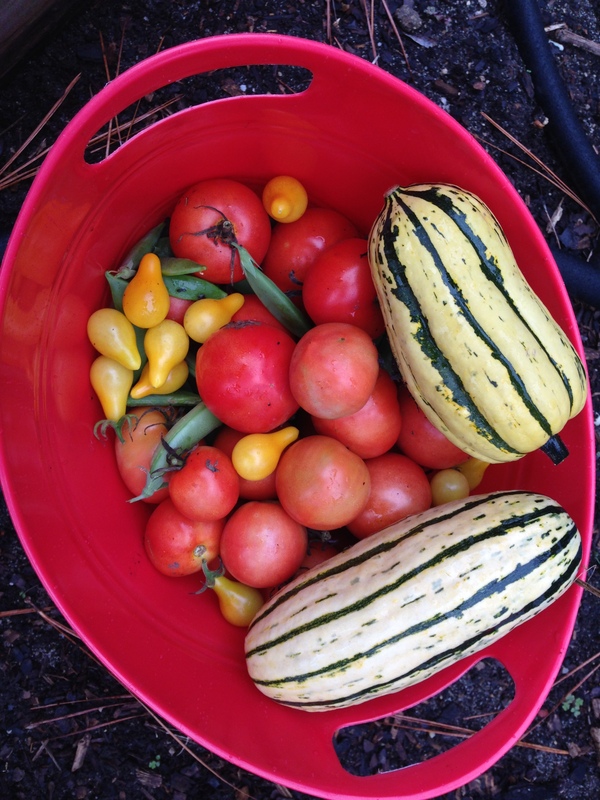 Beginning this week, all locations of the Durham County library will take donations of seeds: vegetable, flower, and herb; hybrid and open-pollinated. 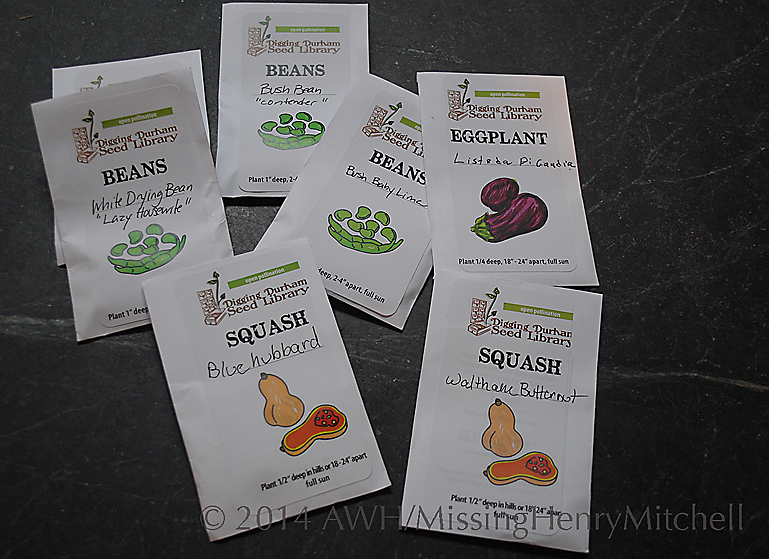 In late April, county residents will be able to “check out” packets of seed from three library branches (Main, South Regional, and Southwest Regional) and grow the plants at home. They must save some of the seed from the open-pollinated plants they grow, and “return” those seeds at the end of the growing season. Workshops on seed starting and saving will be offered in April and later in the year. The first seed library (or one of the first) in the US was founded in Gardiner, New York and became the Hudson Valley Seed Library, now a small business and certified organic farm dedicated to preserving heirloom and open-pollinated seeds and promoting biodiversity. 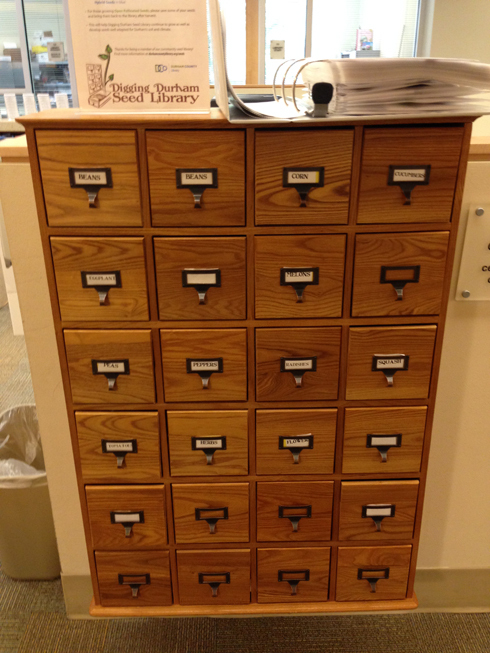 The Durham County seed library is one of the first in North Carolina, but I hope to see many more sprouting up this year. 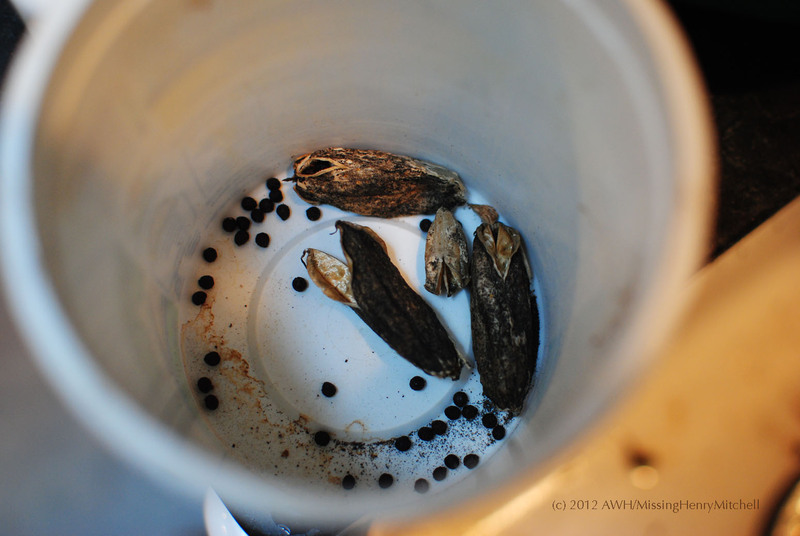 I’ll be writing more about the benefits and drawbacks of open-pollinated and hybrid seeds next week. 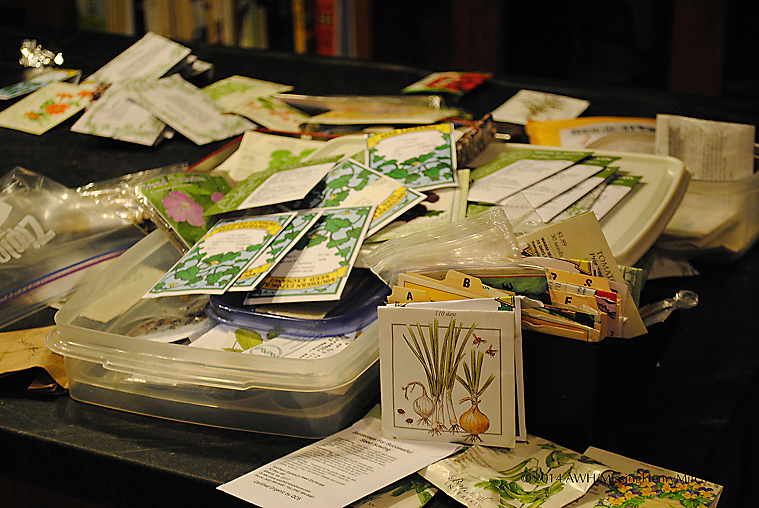 Right now, I’m sorting through my own seed library to find what treasures I can share with my neighbors throughout the county.